Pinch (left) and Snippet were born at the Humane Rescue Alliance with nine other siblings. The neonatal pups went directly to foster care and have been growing up big and strong the past several months. Pinch, the runt of the litter, is as sweet as they come, and she loves nothing more than to snuggle up with her favorite people. Her sister Snippet is a ball of energy and always ready to play. 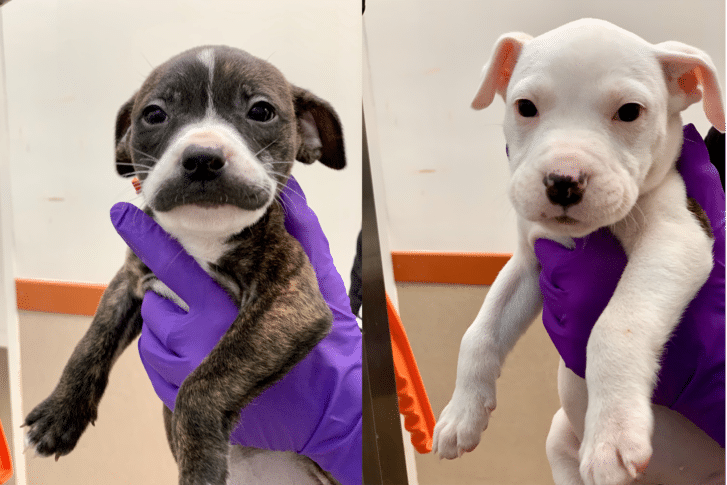 We’d love to find each of these puppies and their siblings a patient, loving home to call their own. Meet them at HRA’s Oglethorpe Street adoption center. Take a look at our 2017 pets, and where they are now.